Shopping, dining, apartments and businesses - Mockingbird Station has it all. 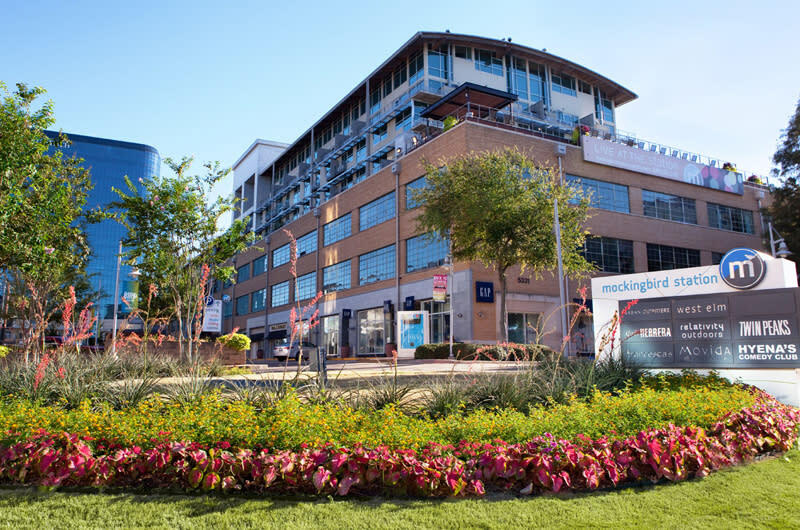 Stores such as Ann Taylor Loft, American Apparel, Urban Outfitter and West Elm go hand-in-hand with the Angelika Film Center and restaurants such as Urban Taco, Trinity Hall Irish Pub, and Reikyu Sushi & Bar to make for the ultimate urban experience. Go shopping, have a bite to eat, see a movie and then walk right to your apartment. Location is everything and Mockingbird Station has the right location! Centrally located in Dallas, the Station is easily accessed by US75 (Central Expressway) and DART (light rail service).